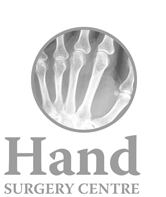 Hand Surgery Centre Newcastle- Specialising in all aspects of hand surgery and therapy. Dr Bryce Meads and Dr Andrew Myers specialise in all aspects of hand and microsurgery including trauma, arthritis and workers compensation injuries. The Hand Surgery Centre was set up by Dr Bryce Meads in 2005. It was purposely designed to be a centre to exclusively treat conditions of the hand and wrist. Since that time it has grown in size and reputation. Dr Andrew Myers joined the practice in 2009. We are co-located with The Hand Therapy Centre, a dedicated group of experienced certified hand therapists who assist in the rehabilitation of the hands. To provide excellence in the treatment of hand and wrist conditions from the time of first presentation to the final result.